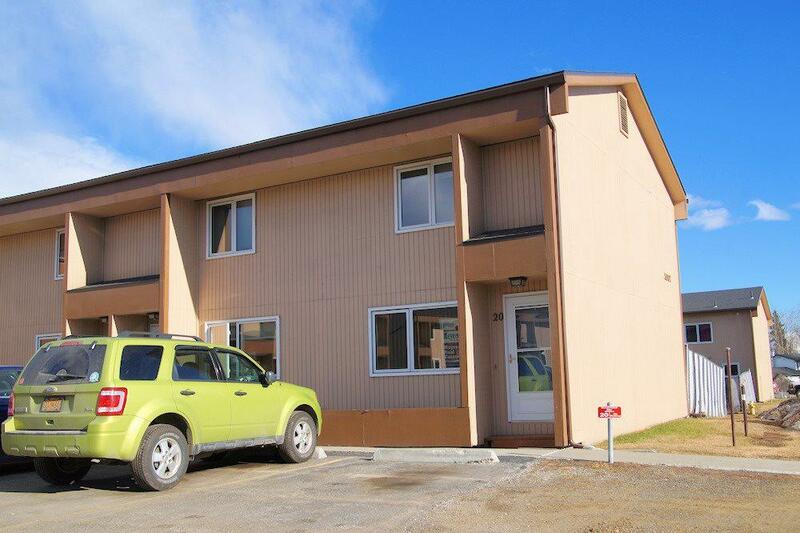 Great layout in this 2 story end unit with 2 large bedrooms & 1 full bath upstairs and a half bath/laundry room on the main level. 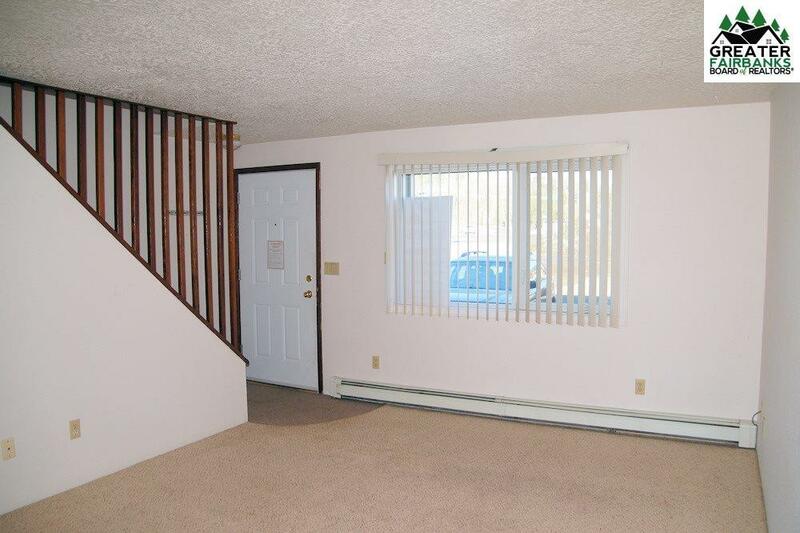 Glass doors to private deck & storage unit; lawn is well-kept in summer and exteriors are well-maintained. 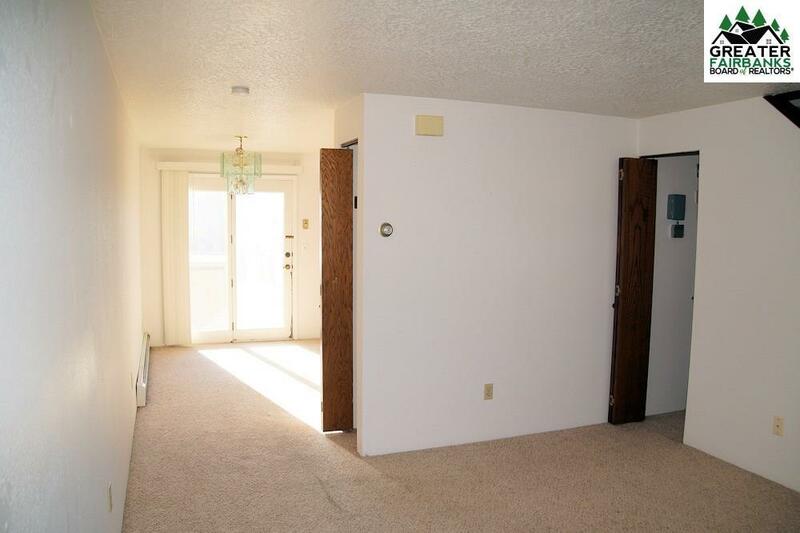 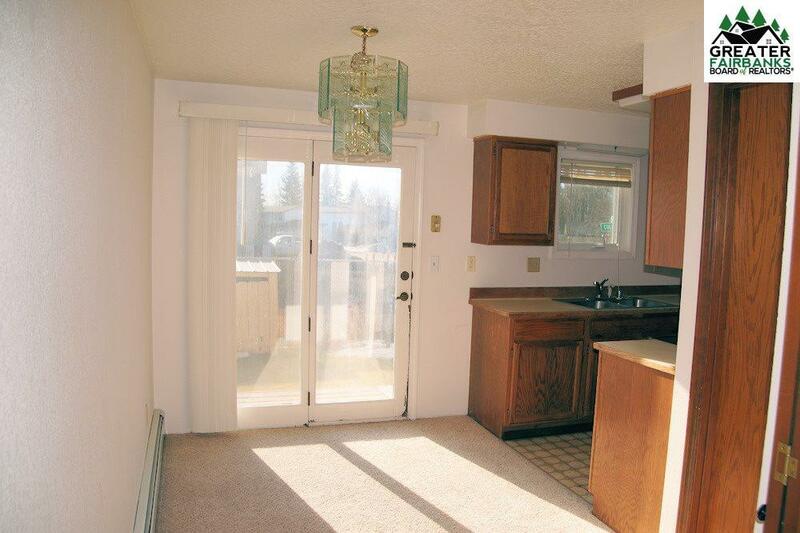 Close to UAF and shopping, great location!